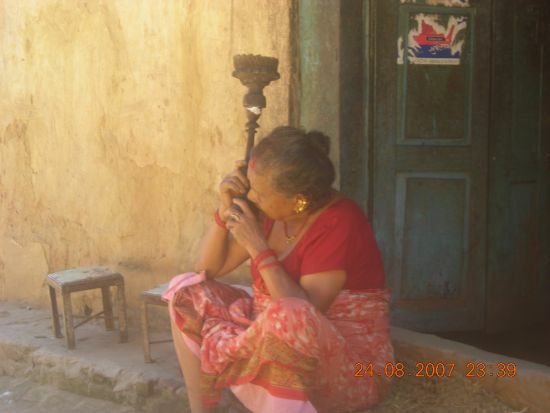 Description: An old woman with traditional Hukka. Just as people smoke cigarette nowadays, people used to smoke using hukka in earlier days. It is still common in some villages especially among old people.